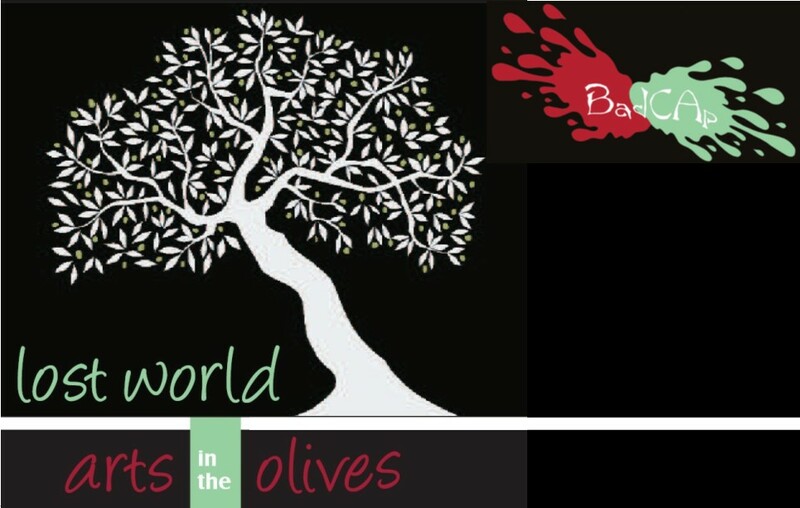 BADCAP’s annual major art event, the Arts in the Olives Festival is held on Mothers Day (2nd Sunday in May). The Festival incorporates arts workshops in a variety of disciplines such as blacksmithing, felting, pottery, bead making, photography and many more. The festival is held in a shady Olive Grove on the banks of the Albert River at Lost World at the top of the Kerry Valley in the Scenic Rim. Held each year since 2009 the festival has over 70 workshops, artisans, food stalls and performances. About 16 adult and 6 children’s workshops are offered at each festival. The festival provides a low stress, high fun way to explore and develop your creative side. Children’s workshops are free to promote an interest in the arts in young people – our future artists. The philosophy of the festival is to make creative activity accessible to as wide a group of people as possible by offering a pleasant and creative experience at minimal cost. 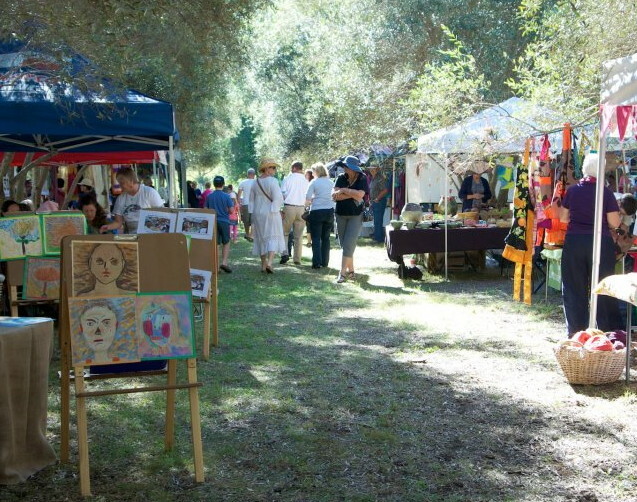 Art in the Olives is a convivial celebration of arts and culture. The festival also offers live music and showcases emerging local talent as well as hosting excellent food, wine tasting, and stalls selling beautiful hand made goods and local produce. The Arts in the Olives Festival develops arts practices in the community, is a showcase for local creativity and promotes the benefits of the creative arts. If you wish to book a workshop or for more information go direct to the dedicated Arts in the Olives website.